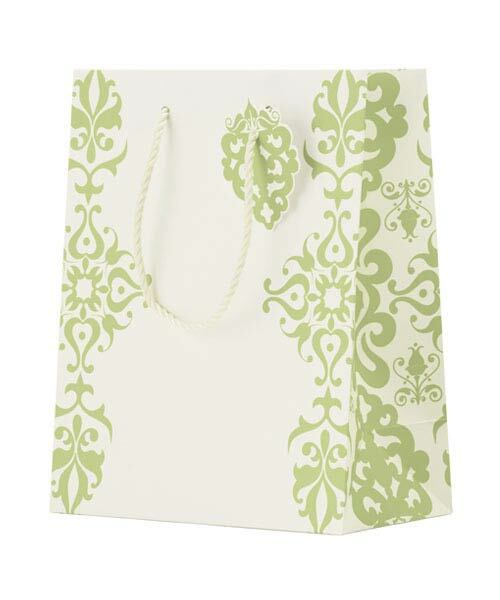 We normally use paper bags to carry groceries or light goods. 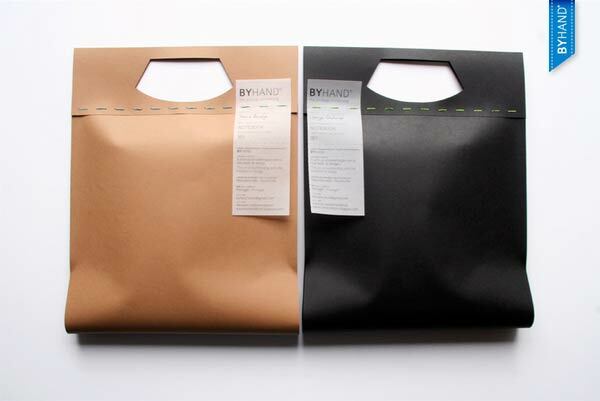 It's just same as Packaging Design, Paper bags are intended to show all the glory of the product inside them. So, your design needs to be stand out. 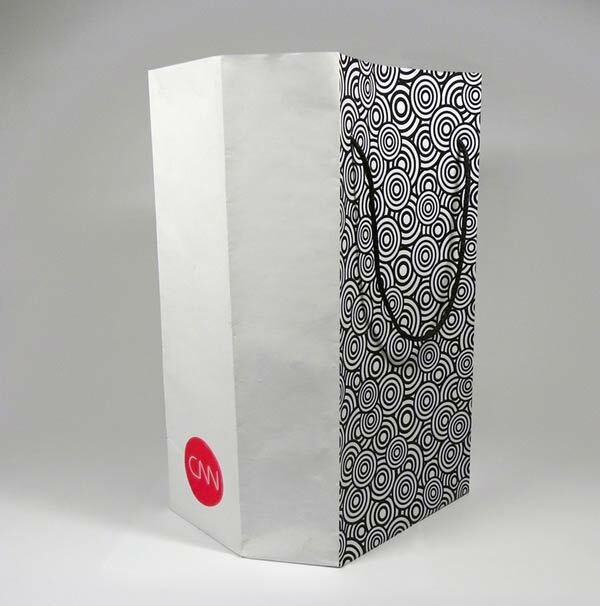 For those of you who are bored with the shape and appearance of a plain paper bag, maybe you should try to design some creative paper bag. 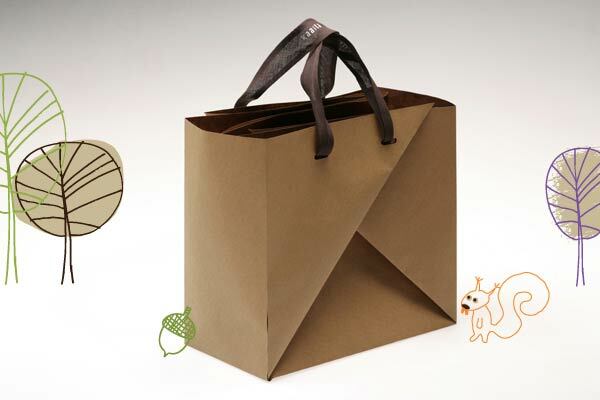 Today, we bring you 40 paper bag design inspiration created by talented designers. 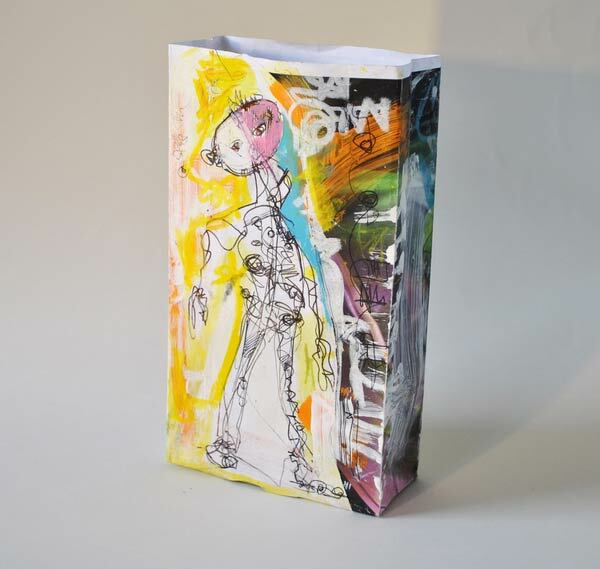 Click on the via links to see more of their sample works and be inspired to design your own creative paper bags. Enjoy! 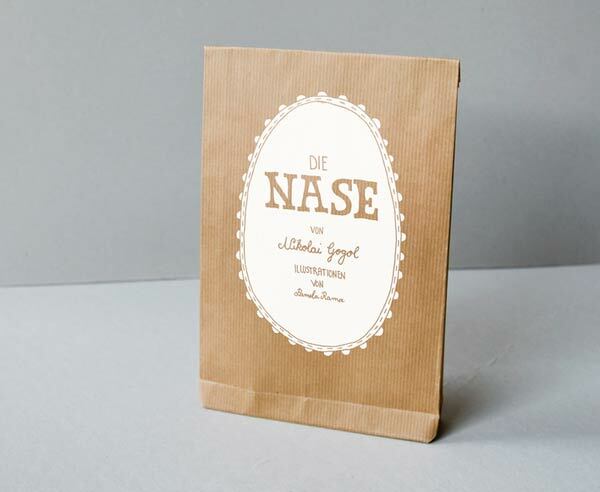 A paper bag or paper sack is a preformed container made of paper, usually with an opening at one end. It can be one layer of paper or multiple layers of paper and other flexible materials. 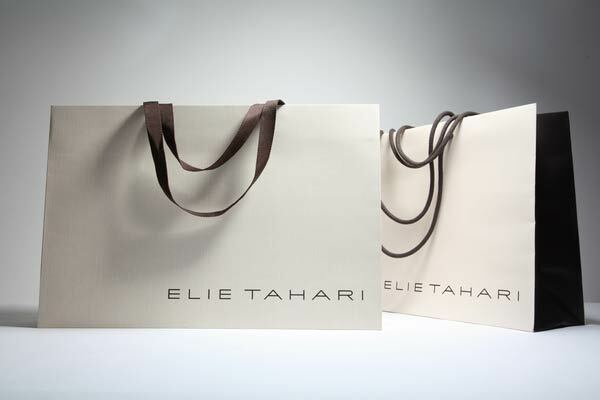 Paper bags are used for packaging and/or carrying items. 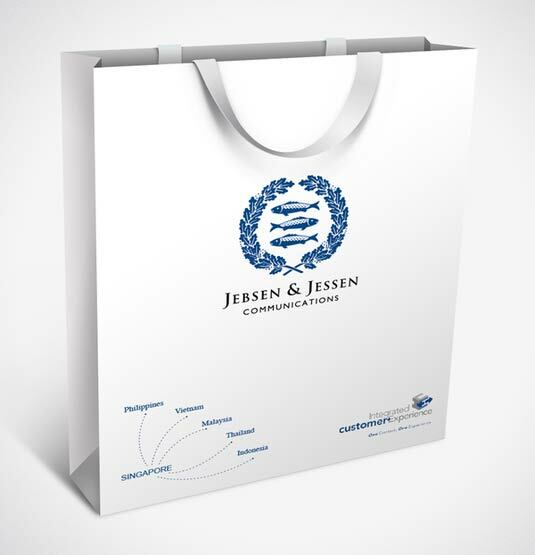 Every element of visual identity combines learning and playing: paper bags are stylized as school bags, the presentation folder with the brand character on it reminds of drawing lessons, and humorous mnemonic rules on pocket calendars help one to learn rules better. 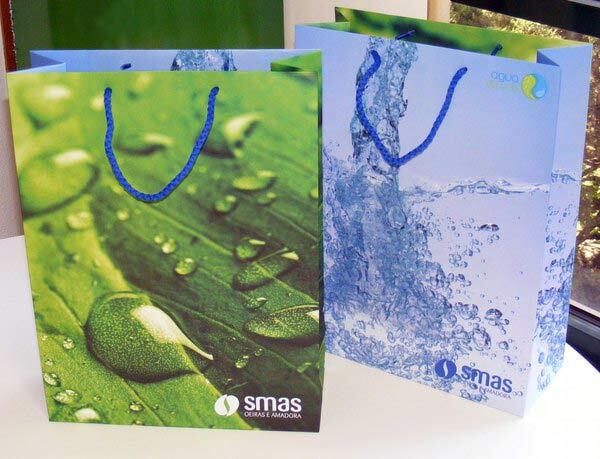 Meet the brand-new shopping bag which is not just nature-friendly..but pure nature itself! 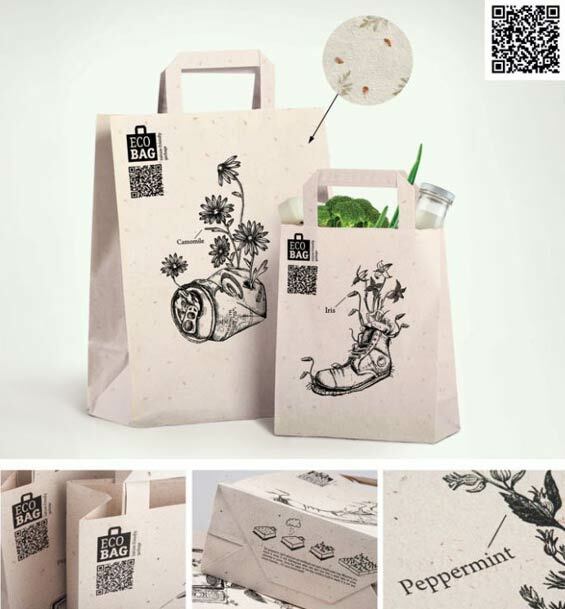 The paper of the EcoBag contains built-in seeds of various plants. Wherever you throw it away, it will desintagrete after rain and turn into a small lawn of grass, camomile or clover. Special packaging supplies such as wraping paper, boxes, packages, tags etc. are uniquely designed to enhance the experience. 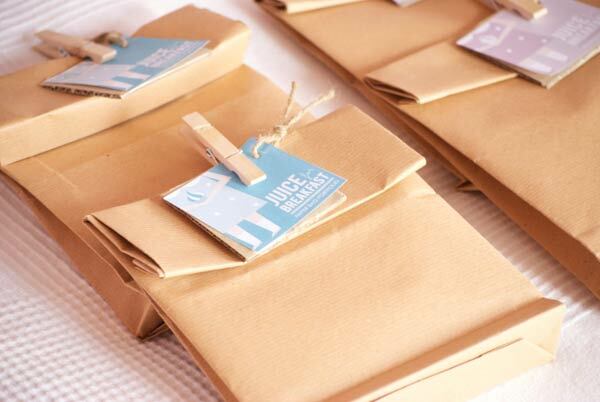 Most materials used for packaging (such as kraft paper and jute) are recycled, hand-made, natural, soft to the touch and create a feeling of warmth. Chick Chirik packaging and service is made to absolutely complement the joyous moments of gift exchange. Sushi Delivery Bag: Two folded paper towels forming an ninja star and custom made chopsticks. The concept of the shape of the packages is that when they are on top of each other they form an origami. Every package comes out of one solid piece of paper without using any glue to keep it together. 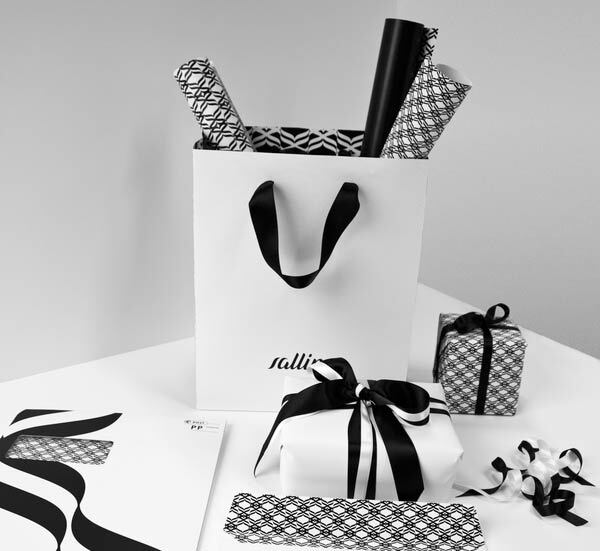 A new visual identity for Salling (Danish department store). 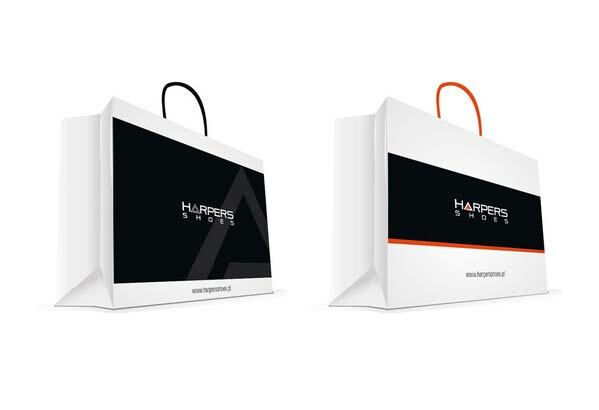 Logo, business cards, letterhead, wrapping paper, hangtags and paper bags. 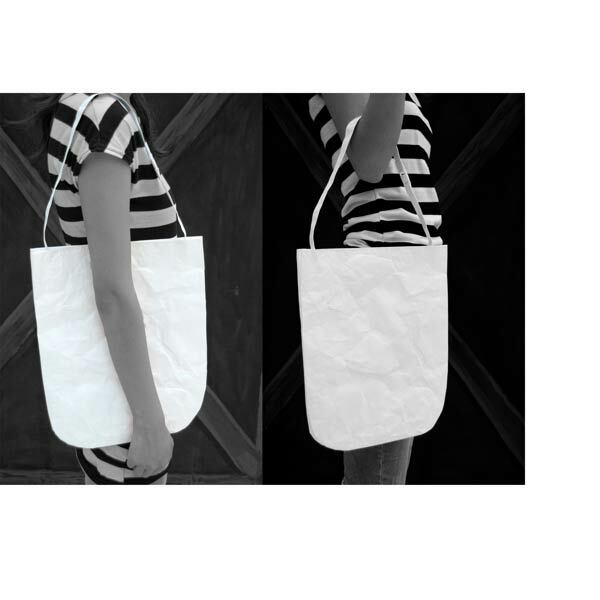 BIGABAGA Do it yourself bag: Made from recycled piece of paper. No glue. The products are traditionally mentioned on a blackboard, in large separated letters written with a piece of chalk. The set of five packages has references of particular things that reminds old packages, regarding the idea that food used to be more natural and healthy than nowadays. Current shopper seeks a face lift. A lighter, modern take to the beautiful, though dark look of the current shoppers. 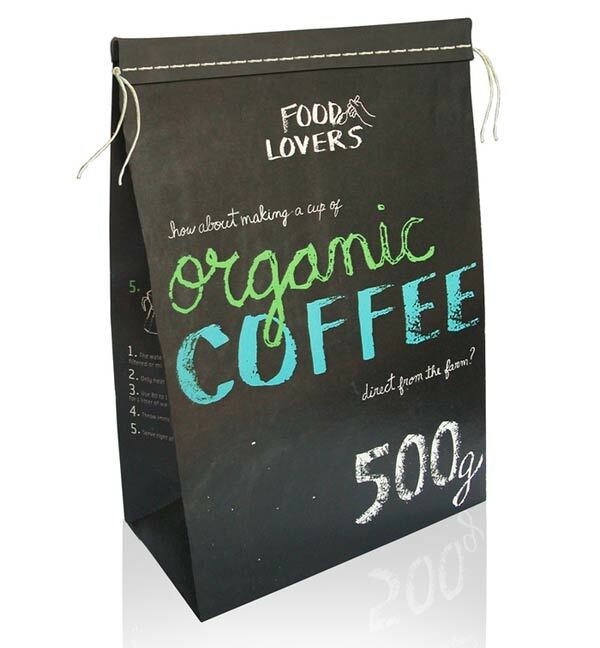 The message is lost from afar with bronze foil of logo on dark embossed chocolate brown bag. Though countless bags were drafted and some produced, this project is still on-going. This paper bag has more than one gusset. One additional crease gives the holders more plasticity. 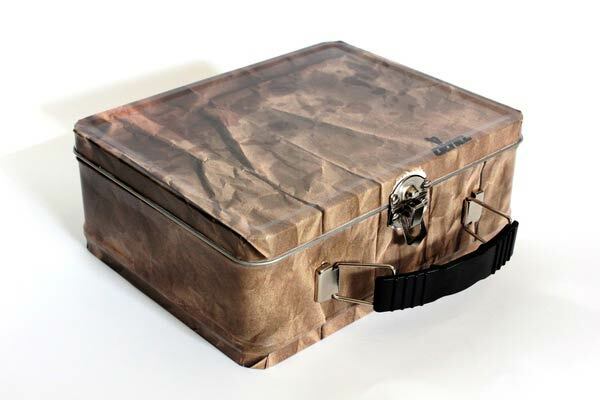 While unfolding, the bag gets a stable base. In spite of all these foldings the bag can be plain stocked. 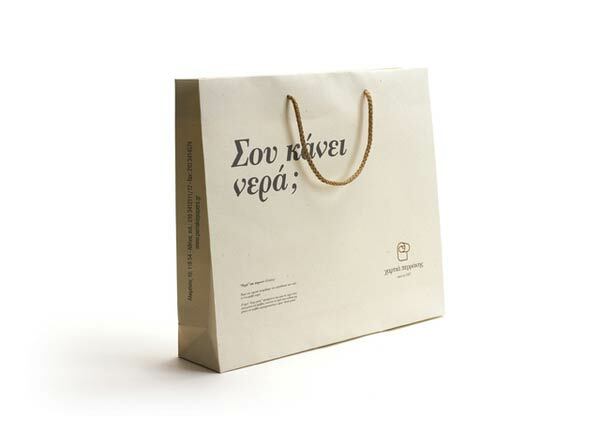 From the page: To bring home the McDonald's experience we created beautiful McDelivery paper bags. Although simple, these paper bags once opened up turned into lovely tray mats. Each paper bag on opening up revealed a different design, allowing you to enjoy your favourite McDonald's food on an intricate tray mat. From McChicken to Happy Meals and from the McVeggie to Maharaja Mac, the McDelivery paper bag truly brought the McDonald's experience to your doorstep making McDelivery simple, easy and enjoyable, even at home. This is a common Greek expression -a pun whichliterally translates to “Is this making waters?” and metaphorically means “Isthis troubling you and rousing your suspicions?” This phrase was selected as it is attentioncatching, while simultaneously, by containing the word “water”, wittilyintroduces the recipient to the issue at hand: namely the grains (in Greek“waters”) of the paper. Paper Grains The grains of the paper refers tothe direction of the fibres in a sheet of paper Theterm “long grain” is used when the grains are parallel to the length of thesheet, while, when the grains are vertical, the term “short grain” isutilized. 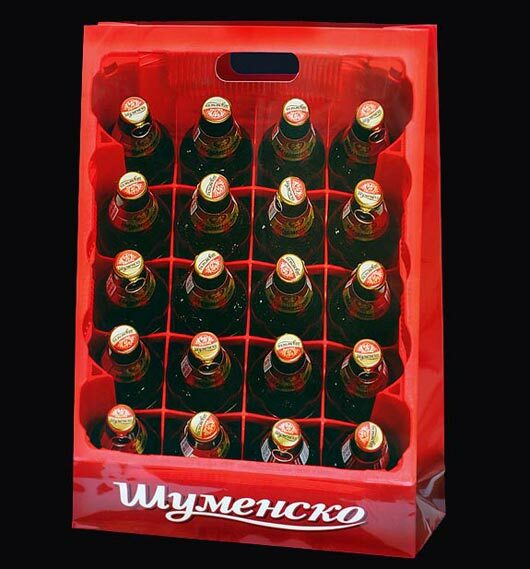 The optical illusion of people, carrying with ease a case of beer in one hand, entertains onlookers, as well as the actual bag-owners. 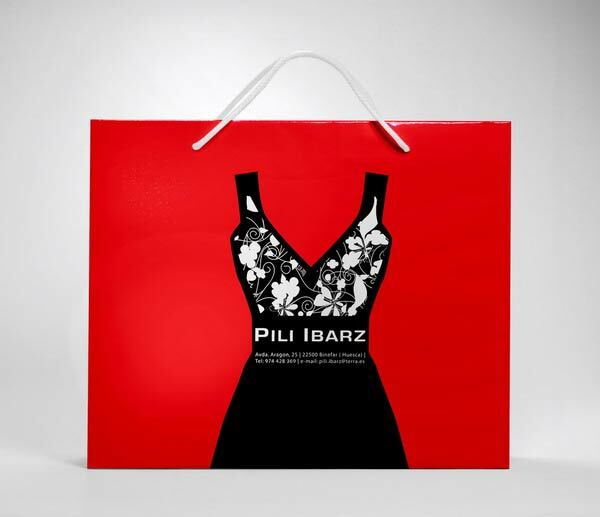 Shopping bag for a fashion shop.The client wanted a modern bag and a concteptual point of view. 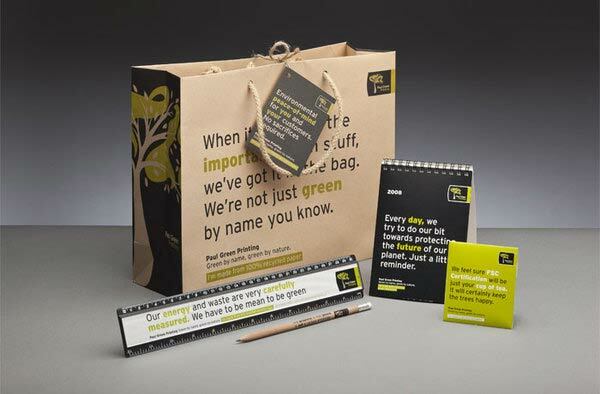 Firebrand created a ‘leave-behind’ goodie bag that utilised strong typographic messages to promote the printer’s credentials. We utilised numerous techniques from vegetable-based inks to recycled paper stocks. Same different types of packaging. Different packaging for different tastes. 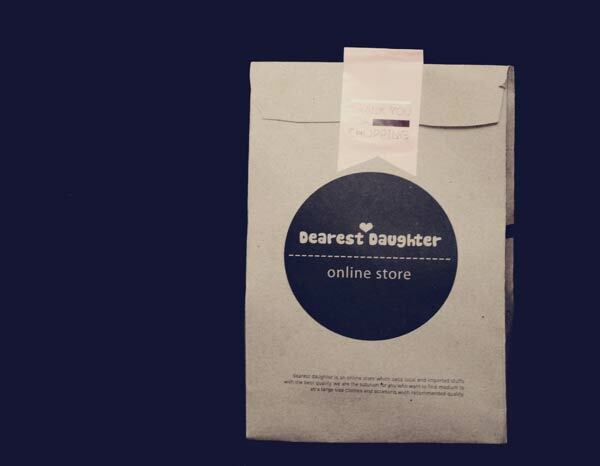 All booklets and postcards are packed in a paper bag with a silk-screen printed cover. So when you open the bag it's like getting small presents which should make the reader happy. 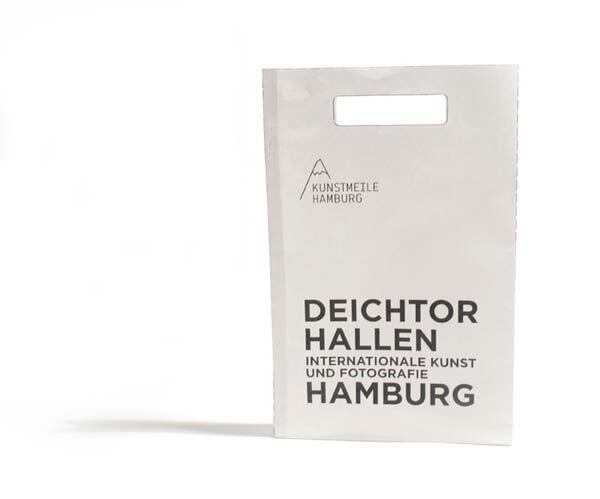 A series of products for the different art institutes of Hamburg. All the designs were made with inspiration from a study trip to Hamburg. 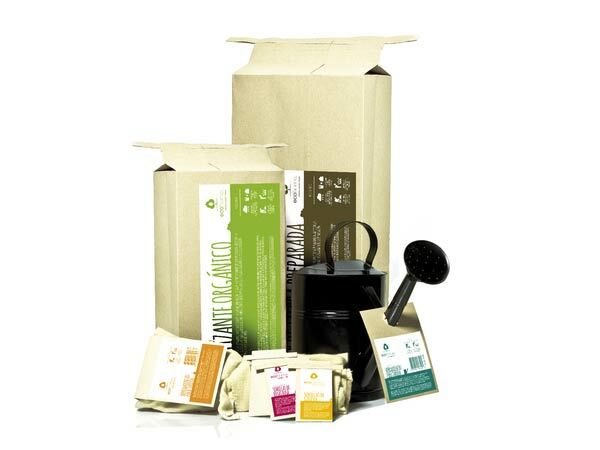 Sustainable garden products packaging: EcoHome is a familiar enterprise which commerciates ecofriendly products. This is a scholar prototype. 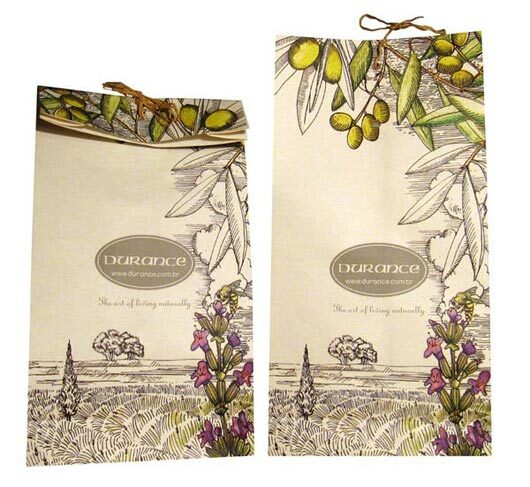 The bags, which are reseable, were manufactured with Environment Paper, made with 100% recycled fibers. 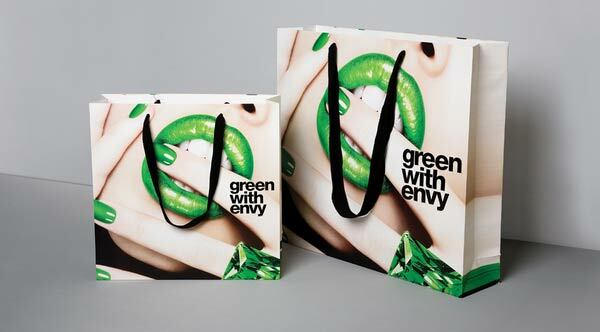 Identity, art direction and one the largest and boldest carrier bags ever, for fashion boutique Green With Envy. Created at Paper Stone Scissors. 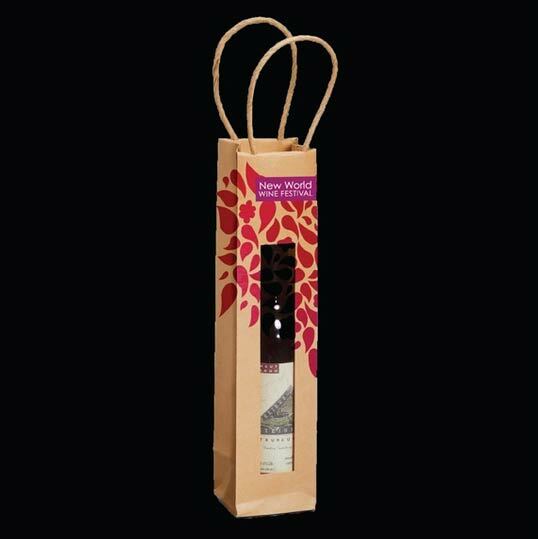 To design a series of posters and promotional items for a New World Wine Festival in Glasgow. 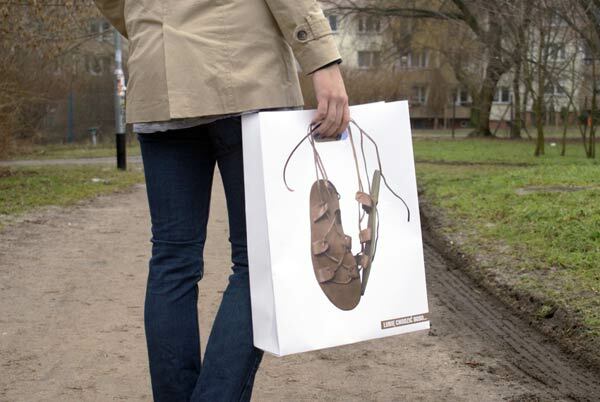 i like walking barefoot - paper bags. 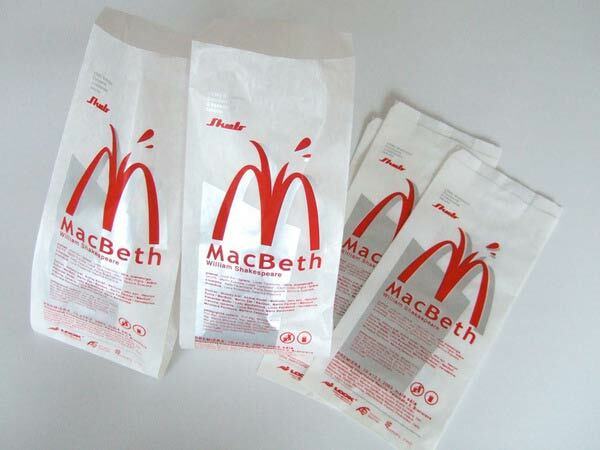 Project MacBeth is a theatre tragic-comedy, this paper bag with silkprinted design is invitation for premiere of this show. Theatre peace is a funny and unusuall version of classic Shakespeare Macbeth, actors and directors are playing with clishe of this classic drama and conecting it with contemporary consume culture. high density, which is type of low-carbon environmentally-friendly material that’ll turn into water and carbon dioxide after being burned and has second-to-none waterproof and anti-tearing performance. After pattern making, carving, fretwork, dyeing, and clipping, that’s how the material looks now in front of our eyes. 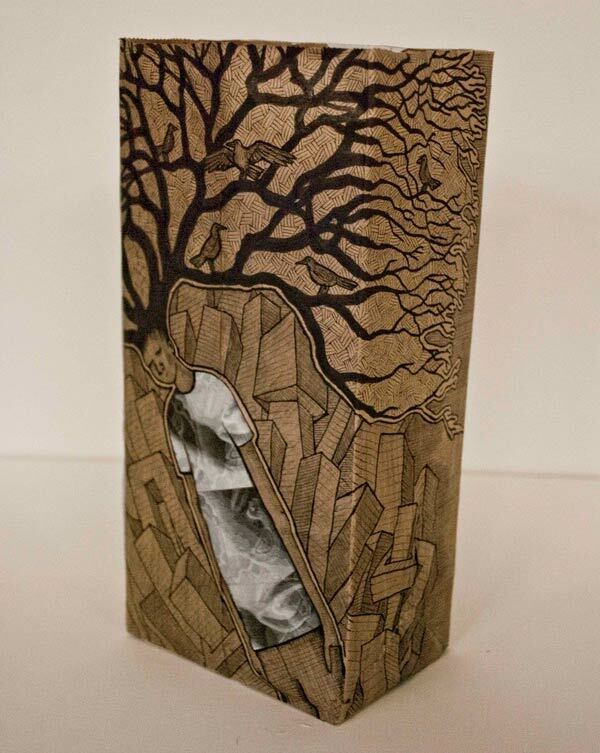 Design project done with a brown paper bag. 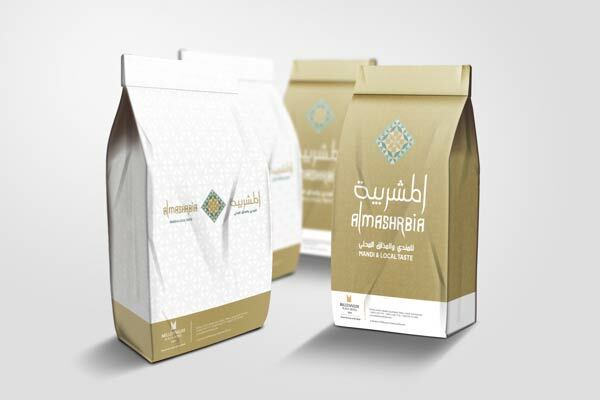 Millenium Hotel - Al Mashrbia Paper Bag. Paper bags for Harper's Shoes. 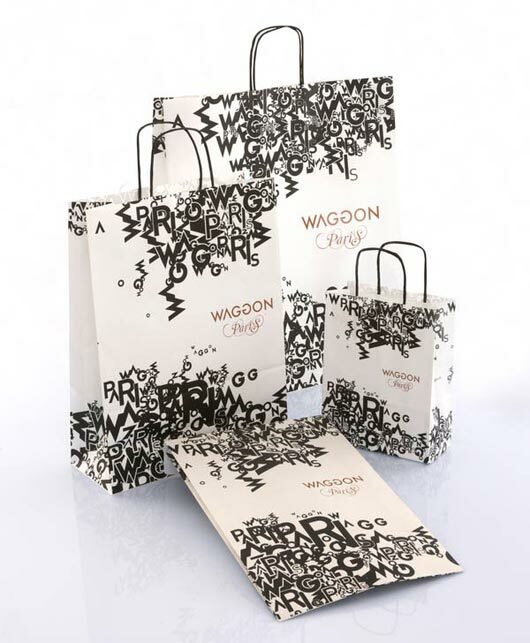 Design and Production of a promotional paper bag. 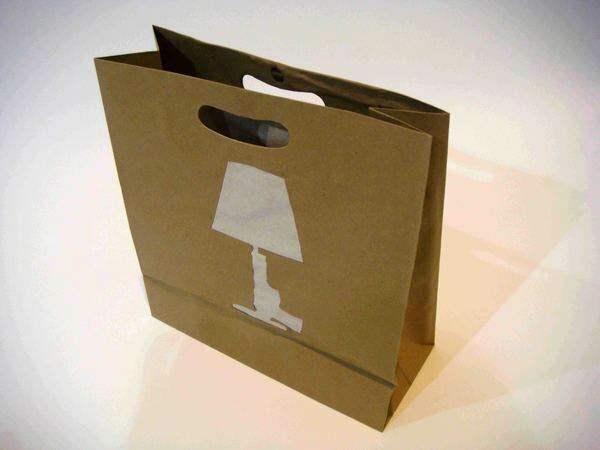 A regular paper bag that on both sides has the cut the silhouette of some famous lamps. The combination of the clear role of silhouette and the rest of the bag combine two decorative light shades. 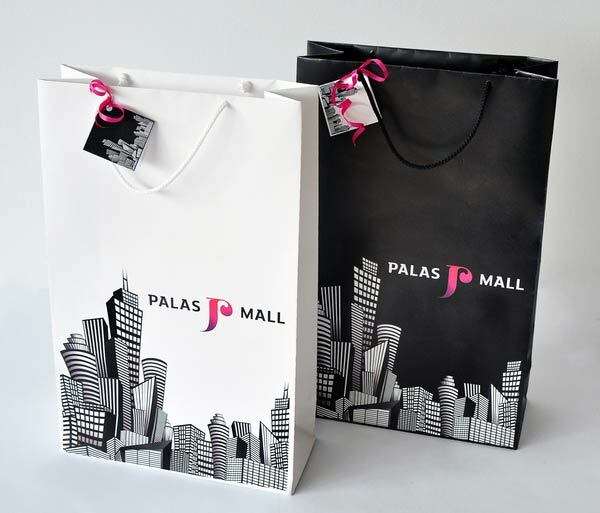 Aproject used in a contest for the new shopping bag of Palas Mall. 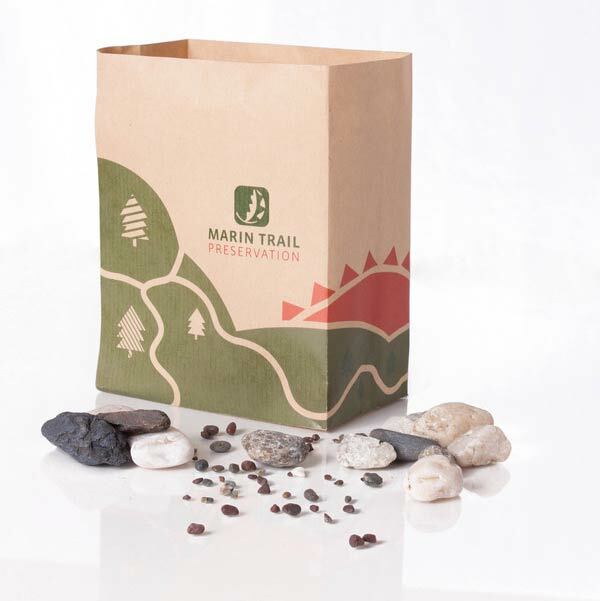 Marin Trail brown paper bag packaging: a branded brown shopping bag to illustrate the protection and responsible stewardship for the Marin Trail Preservation. 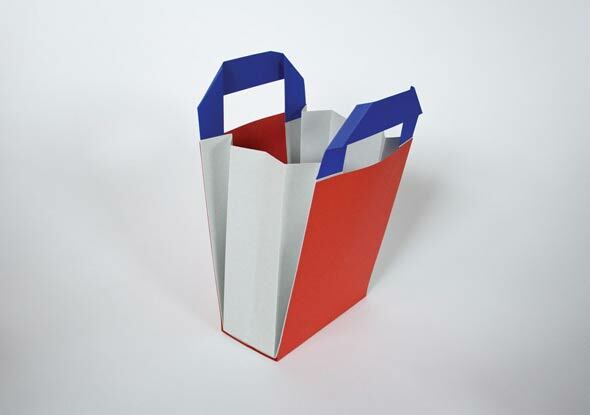 Paper bag, is the first in line of printed metal lunchboxes emulating greasy takeout. Mixed media on self made paper bags. 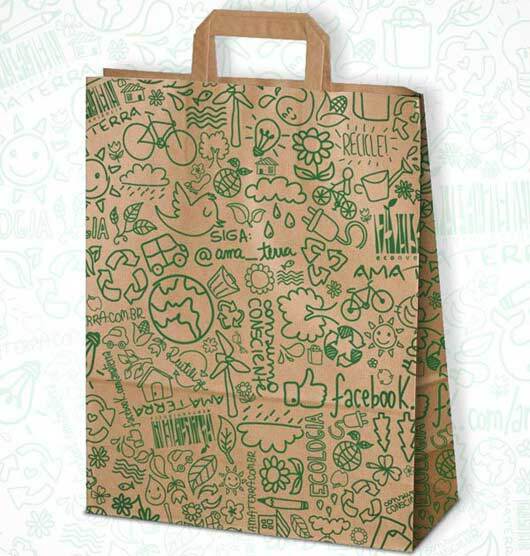 Paper bag with theme is nature to make a new face to consumers.